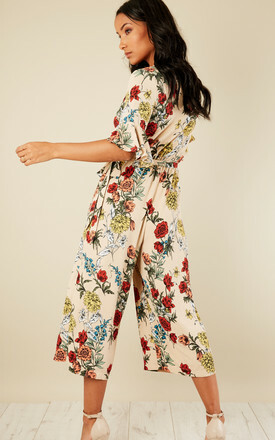 Opt for fun florals in this gorgeous jumpsuit. Featuring a flattering V neck and handy pockets, it is as effortless as it is stylish. Complement with heels.